Looking to add a little bit of weirdness to your bedroom? A fan of the strange and unique? 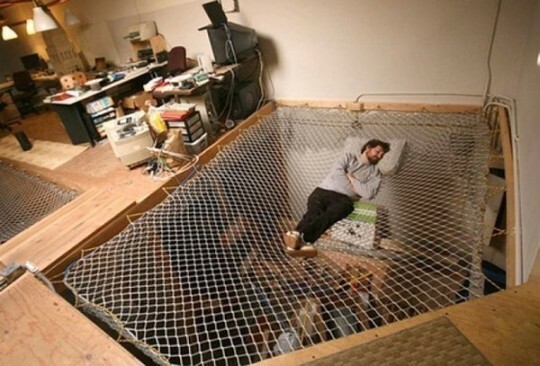 This list of crazy beds is sure to inspire you to get wacky in your sleeping space. 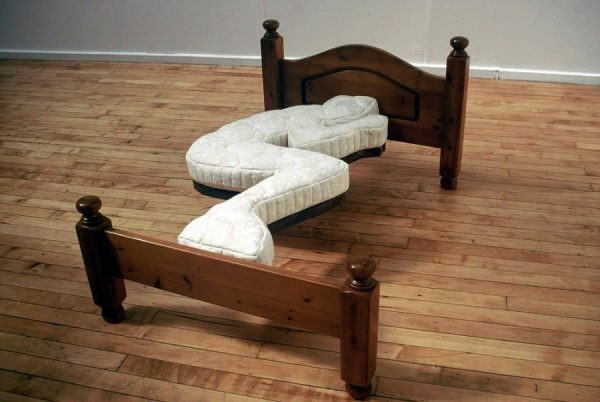 This bed is great! If you only sleep on your side and never, ever move. Still, points for creativity. 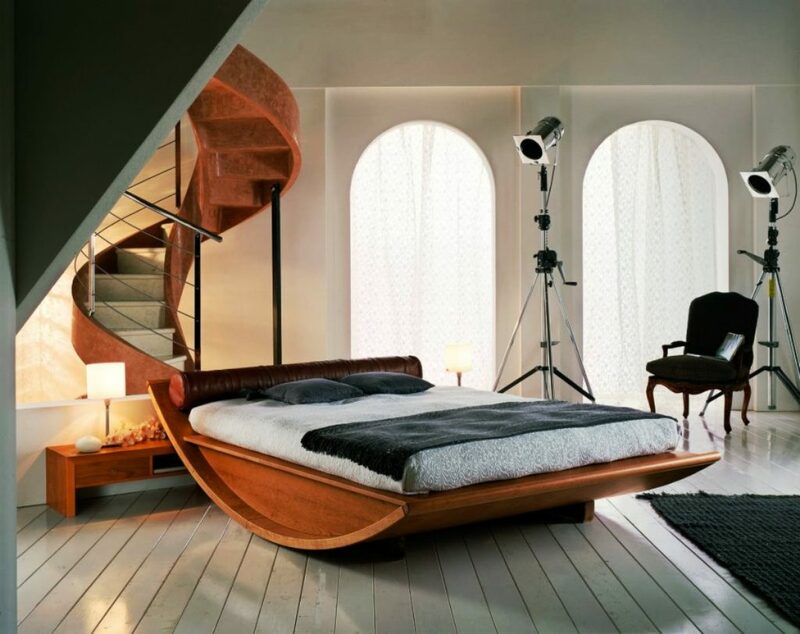 Love this spiral staircase with matching bed combo, although the spotlights aimed down at the sleeping space seem a wee bit aggressive. This hammock-style bed will appeal to anyone who has ever daydreamed of hiding out in never-neverland. Goodnight, lost boys! Beer lovers, rejoice. 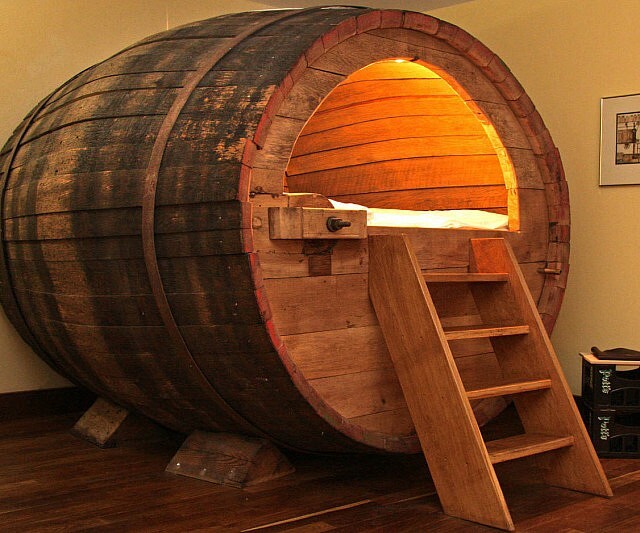 This recycled antique beer barrell is now your perfect slumber space. For the foodies, obviously! 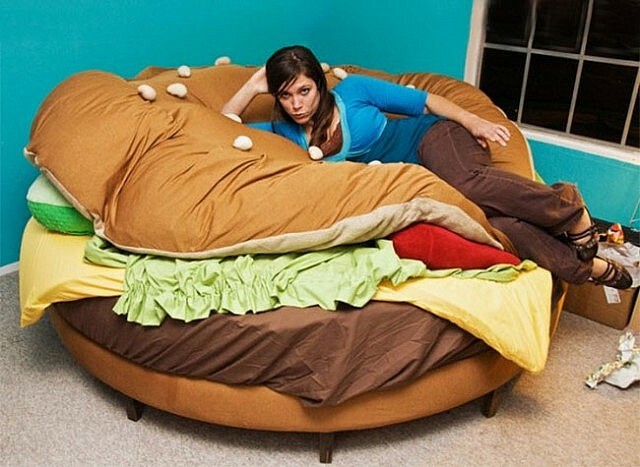 Lounge around on this burger bed, and try not to let it make you hungry.